These river and rain gauges are linked directly to the USGS, AW, AFWS, and IFLOWS websites. These list 134 streams in 211 sections. Click on the name of the state. These tables are to help decide in a hurry which creek to paddle, with the least amount of page-flipping in Steve Ettinger’s gauge-packed guidebook Capital Canoeing and Kayaking. These river and rain gauges are linked directly to the USGS, AW, AFWS, and IFLOWS web sites. meaning that this aid should help to access particularly the smaller runs in the aftermath of rains or snow-melt. 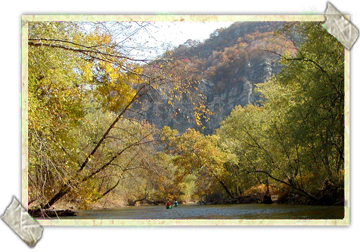 W: Potomac South Branch, Moorefield Gorge, Hopeville Canyon, the Cheat & its tribs, and the Tygart. State Name - Click on it to get the state map with the USGS gauges (colored dots). You can click on these for cfs and stage readings. Min cfs - Minimum = the number of cfs at the USGS gauge (which may be upstream, downstream, or on another stream). The value may differ from that in “Capital Canoeing and Kayaking” because of later research or others’ contributions. Zero here means a level where you scrape occasionally; more will give you a better paddle. RC - Randy Carter canoeist gauge – painted on a rock or bridge with “0” being the minimum level one can boat on. Rain Gauges - NOAA's Hourly Precipitation Analysis site gives precise rainfall info for all locations. See at end of the tables for how to use this site. Otherwise there is only a sprinkling of rain gauges outside of the western Piedmont, so this space may be blank. [County names are in brackets]. Map - Click on the word Map to see the stream, drawn by Ron Canter - c 1985. USGS Precipitation Gauges – These are the simplest and best, showing cumulative rainfall and when it fell. But far too rare in Maryland, Virginia, and West Virginia, although many in Penna. In the tables, they're in bold. Page - Refers to the Ettinger book, unless where streams are over two hours from DC, the reference is to Ed Grove’s Classic Virginia Rivers, Roger Corbett's Virginia Whitewater, Ed Gertler’s Maryland and Delaware Canoe Trails, or his Keystone Canoeing (Pennsylvania), and Paul Davidson, et al.’s Canoeing and Kayaking West Virginia. Water Temperatures - About 15 gauges in these tables carry this info and are indicated by "temp." WX - Weather Prediction - temps, wind, wind-chill, rain, snow, etc. Steve Ettinger’s "Capital Canoeing and Kayaking" - To order the book, please check on Amazon or send $20 in cash or check to: Alf Cooley, 1902 Poole Lane, McLean, VA 22101. Problems/Help with the Text or Tables? - Please call or email me: 703 442-7935. AlfCooley@gmail.com. Thank-you.